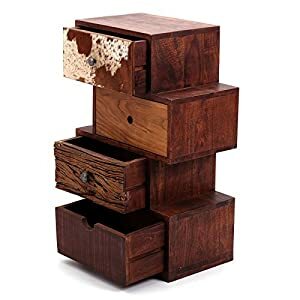 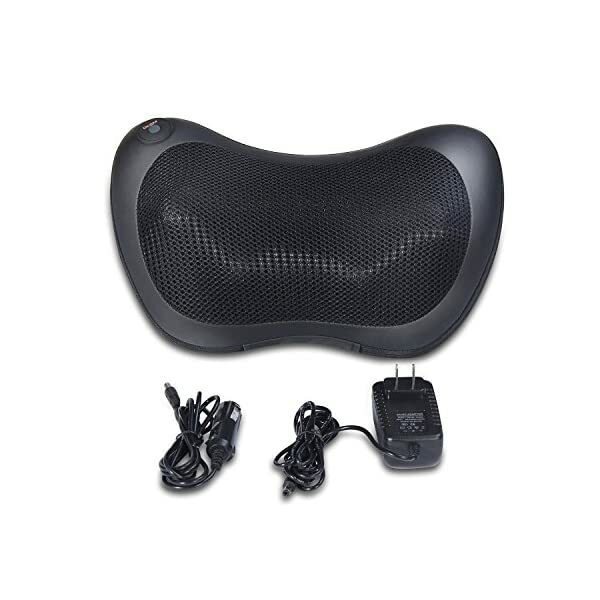 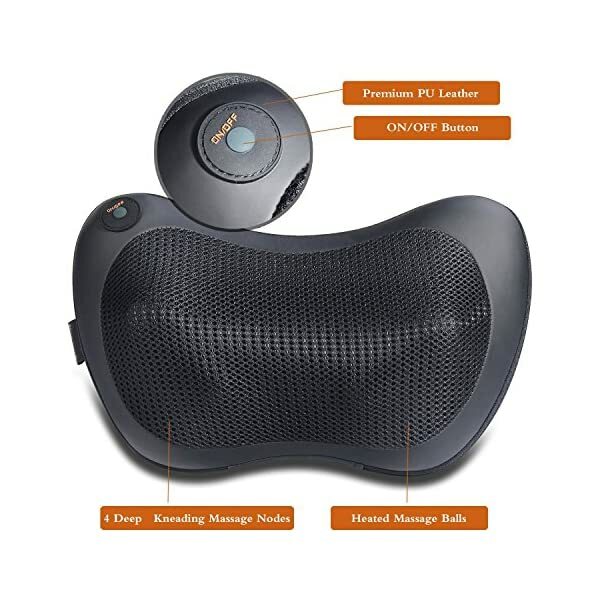 Relax at home,auto&office- Mimic the kneading and penetrating motions of a real massage therapist’s hands, helps with relax and relieve muscle tension in the car, office and home. 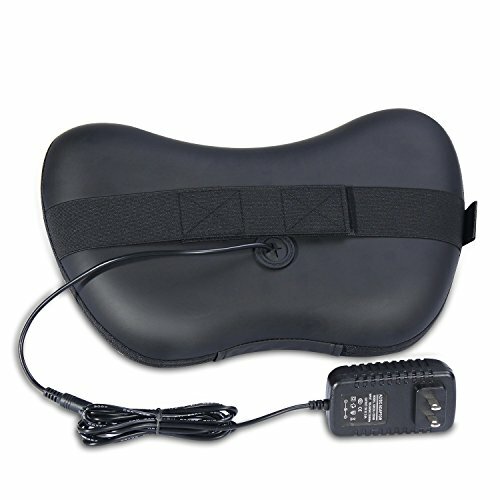 Heating Function – It is good for blood circulation with warm temperature, but not hurt to your skin.UL approved power adapter works with wide voltage (110-240V ). 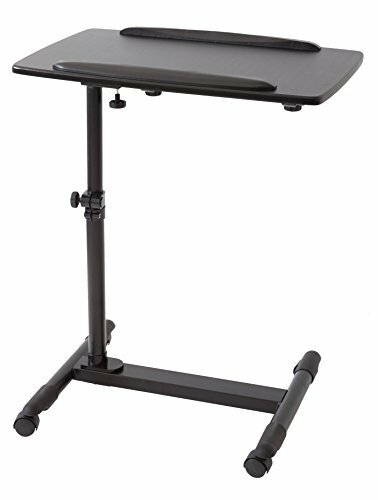 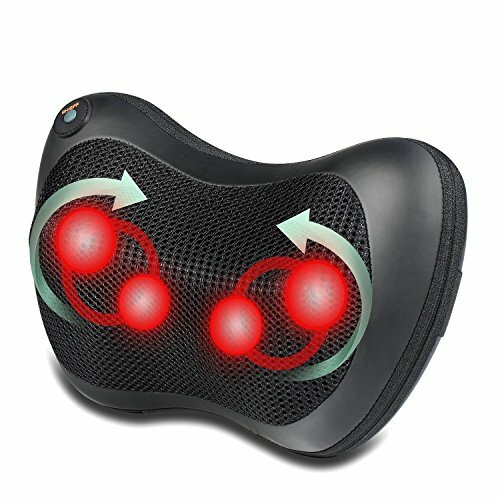 Customized to Your Own Needs- Allows massage your neck, lower & upper back, shoulders, lumbar, calf, and so on. 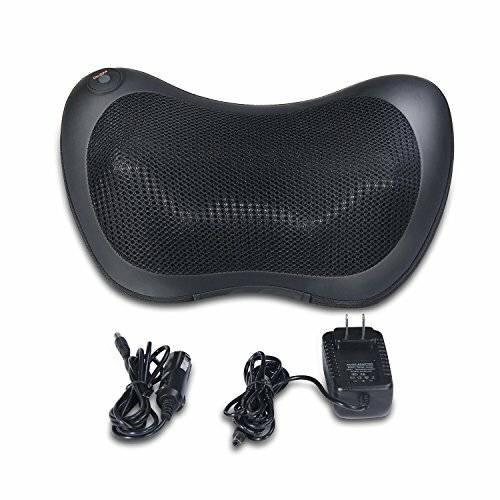 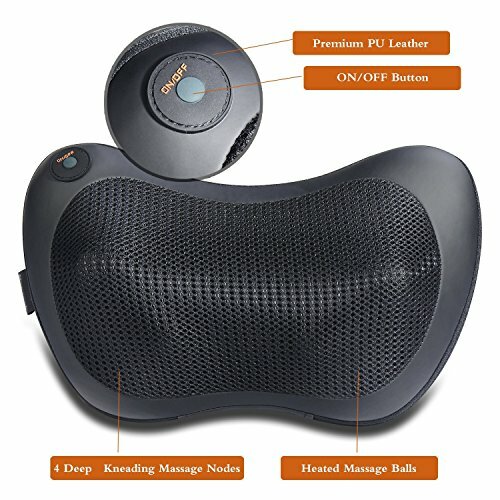 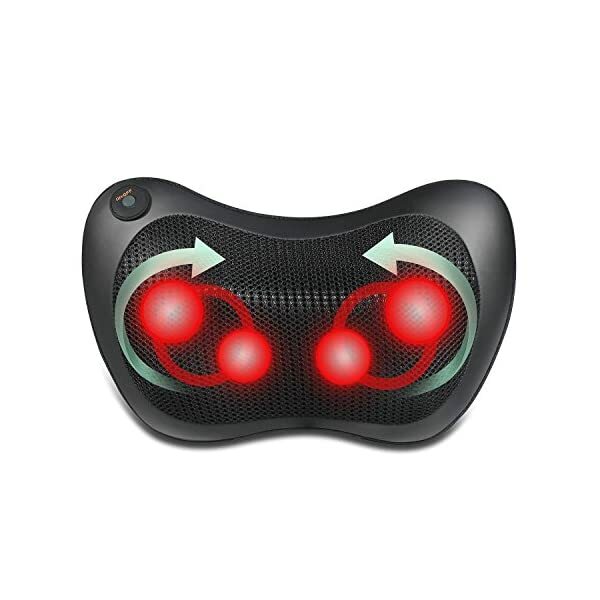 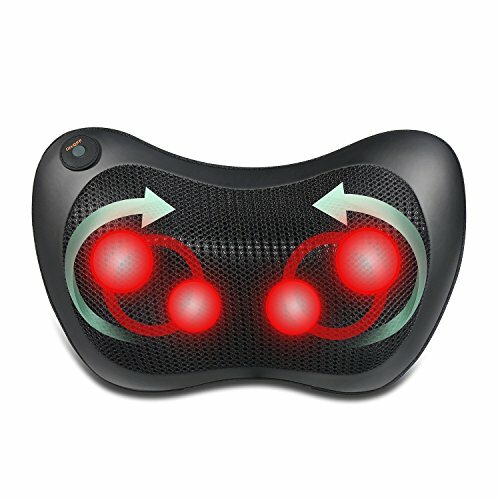 Viitop.eu massage pillow ergonomically designed,Specially designed 3D multi-direction rotating balls deeply penetrate your tissues and muscles, Imitate real masseur’s hands,vigorously kneading and penetration your neck, lower & upper back, abdomen, calf, and thigh areas,Relieves pain, aches, tension and knots. 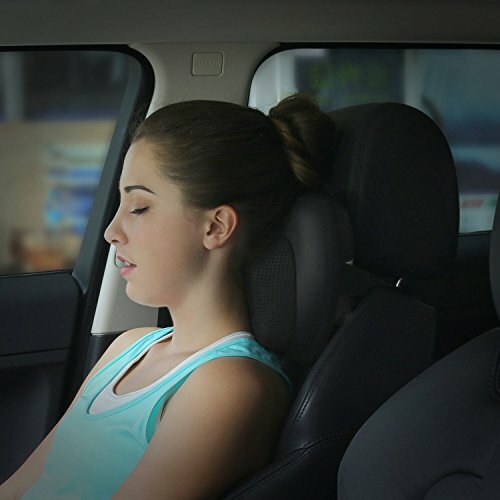 Calms and reinvigorates you whether you’re in your chair at home, sitting at your desk at work or even while commuting in your car. 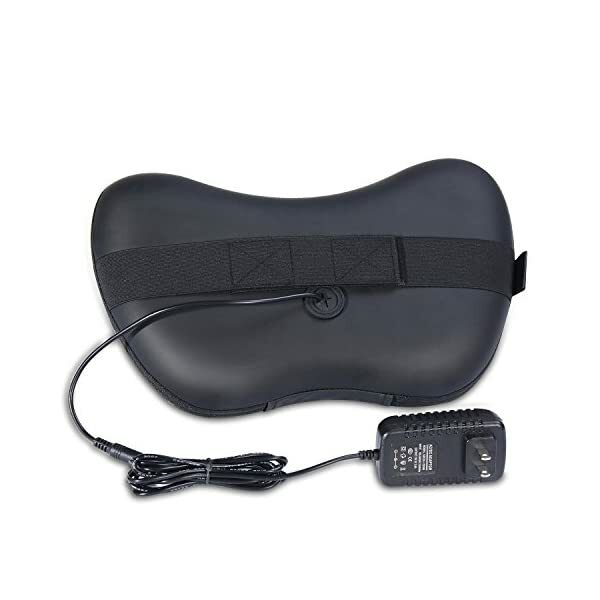 – UL certification approved charger and FREE car adapter are included. 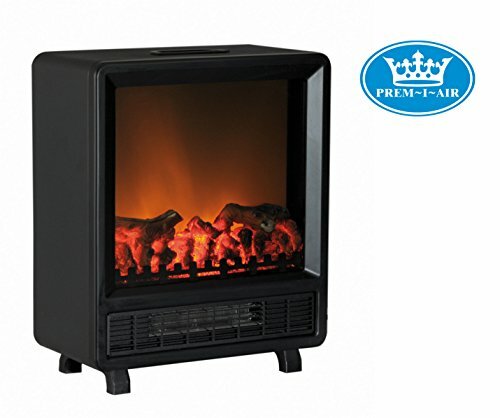 – Programmed with 20-minute Auto Shut-Off to guarantee safety and equipped with Overheat Protection Device. 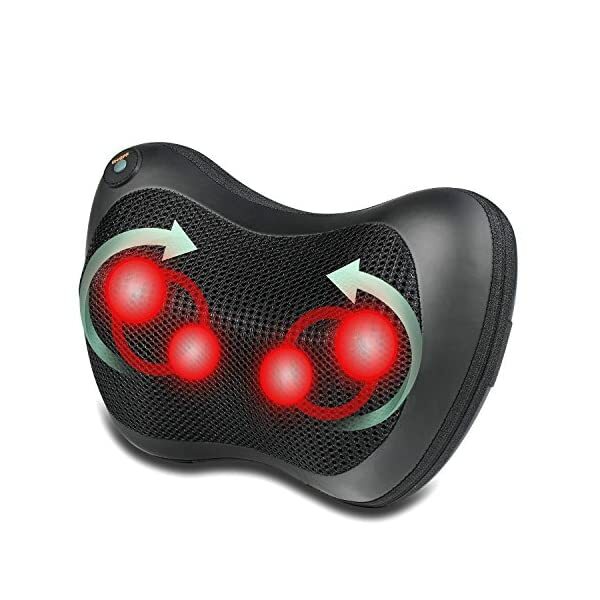 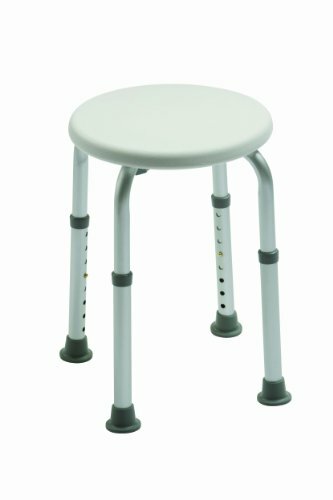 Ergonomic W-design – follows the contour of body and allows focusing on a specific target area.